As a bookstagrammer* this really resonated with me. 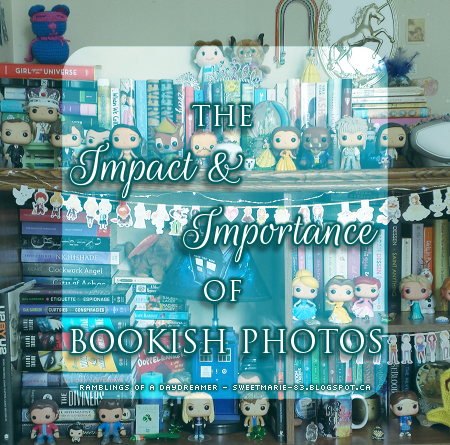 I’ve been part of the book community on Instagram for about two years now, and bookish photography has become a huge part of my life. It’s not just a fun hobby, it’s an effective way to help authors spread the word about their books, plus help readers find new books. With an abundance of social media posts coming at you at what feels like a million miles per minute, pictures often grab people’s attention first. As a book lover, I can tell you I almost always stop when I see a picture of a book, and I’ve bought, borrowed, and read countless novels because of pictures I’ve seen. Many people are probably thinking, ‘But I’m not a photographer’. You don’t have to be. If you’ve seen some of the pictures on bookstagram, the idea of bookish photography can seem pretty daunting. The thing is, pictures don’t need to be elaborately staged with props and flowers and perfect lighting. A picture can be as simple as a close-up of the book cover, you holding the book, the book with a cup of coffee/tea/hot chocolate, or the book outside in front of some flowers or a tree. For many book lovers, all they need is to see a picture of a book and they’ll stop in curiosity. That curiosity often leads to them looking up the book, adding it to their TBR, maybe even buying it or checking it out of the library. That will (hopefully) lead to them reading it and (again hopefully) enjoying it and then spreading the word. Authors depend so much on word of mouth from readers, and bookish pictures can create the ideal situation: someone seeing the book, buying/borrowing it, reading and reviewing it, telling their friends, and then the circle continues. Something else that’s great about taking bookish pictures, especially for Instagram, is that it’s an alternative to blogging. If you don’t have time/aren’t interested in blogging, you can post a picture of the book and write a mini review right on Instagram. It not only helps other bookish people find books, it’s great exposure for authors. Since becoming a bookstagrammer, I’ve discovered books I wouldn’t have heard of otherwise, and people have told me they’ve bought or read books because of me, which is always a fantastic feeling. It’s also been a wonderful creative outlet, something I have fun with and take a lot of pride in. While I post my bookish pictures primarily on Instagram, I also try to post pics on Twitter and Facebook, and I share a lot of my bookish pictures here on the blog. *Take a picture of the books you just bought, borrowed from the library, won, got as gifts, etc. 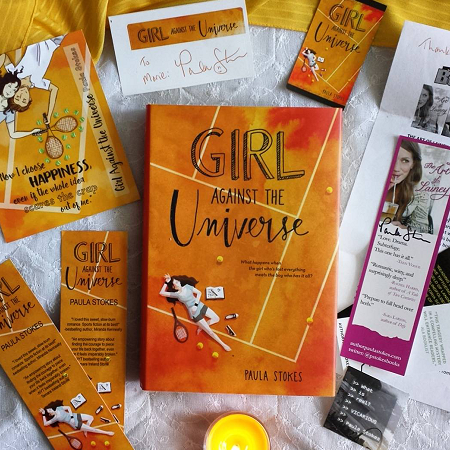 Did you win some swag or pick some up at the library or an author event? Take a picture of that, too! *Take a picture of a book in your favourite reading spot - on the couch, at the library, by the pool, on your bed, on your balcony/patio. *Are you doing something else while you read? Having breakfast or lunch? Taking a break from working on your blog? Having a coffee/tea break? Take a picture! *Wearing a really cute outfit? Have a stylish accessory to show off? Hold the book you’re reading and take a picture. *See a favourite book at the library or bookstore? Snap a pic! *Is one of your favourite books on sale? Take a picture of it and share the sale on social media. *Some books are gorgeous inside and are absolutely begging to be photographed. Reading a book with pretty end papers? Graphics inside? Fancy chapter headings? Snap away! *Have a favourite stuffed animal? Knick knack? Candle? Momento? Arrange it with your book and take a photo. 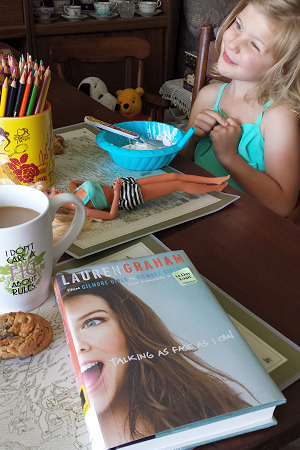 These are just some ideas to inspire you and get you started taking bookish photos. 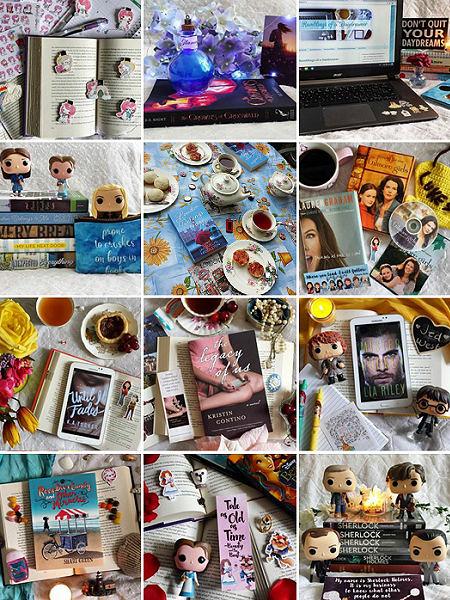 If you still think you need to have a beautiful, elaborate picture to be effective and grab attention, here’s a secret: some of my most popular pics on bookstagram have been the simpler ones - just a book and flowers or a book and a cup of coffee. For those of you who prefer ebooks to paperbacks or hardcovers, I'd like to point out that these ideas work just as well for an ereader as a physical book. I often take pictures using my Kindle or tablet. You can see examples here, here, and here. Looking for more inspiration? Search hashtags like #bookstagram, #bookstagrammer, #bookcommunity, or visit my feed and check out some of the people I follow. *Someone on Instagram who posts solely bookish pictures. It’s a wonderful, supportive book-loving community, if you’re looking for something like that! Do you take pictures of the books you're reading? What are some of your favourite ways to take bookish photos? Are you a bookstagrammer or do you take the occasional bookish picture for your Instagram? Leave your handle or a link below so I can check out your account! Have a bookish picture you're particularly proud of? I'd love to see it - leave a link!